Below, are descriptions to the Introduction Rides, Health Rides & Rural Rides. The dates are below each description and clicking on the dates will give you more information about each individual ride. Before attending your first Ride the Downs session, be it Intro, Health or Rural Ride, you must complete our ONLINE REGISTRATION FORM. this page as early as possible and no later than 1 hour before the start time. 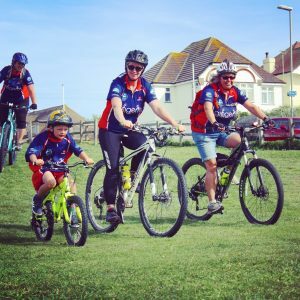 The Introduction Rides will all be held at The Big Park In Peacehaven (running after our Dr Bike sessions). They’re a great opportunity to dust of the bike and begin the season. They’ll last around 60 minutes and involve bike handling skills to include: mounting and dismounting, setting off and stopping, gear changing, braking, cornering, hand signals and slow speed control. There’ll also be a few fun competitions with prizes, followed by a short loop around The Big Park. All under the watchful eye of our team, who will help you become more confident on your bike. This will help you to gain the confidence to join a Health Ride. This is a fun and relaxed session; everyone is welcome including children and youth riders under the age of 18, although they must be accompanied by a parent or guardian. A parental consent form will be available on the day for completion. During the ride the parent or guardian must at all times take responsibility for the actions of the child / youth rider. You may sign up on the day but we would prefer if you sign up before by filling in our online registration form. 12:00 – 1:00pm at The Big Park in Peacehaven. These rides are longer than the Introduction Rides. 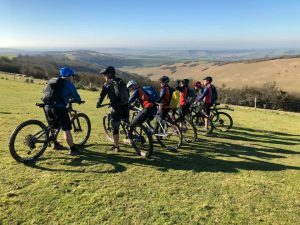 Lasting up to 2 hours, their aim is to increase your fitness and confidence on your bike, whilst exploring some of the local cycle routes and quiet rural roads. Help and assistance can be given to those requiring advice on road positioning and signaling. Health Rides are set at the pace of the slowest rider and there will be regular stops. 10:00am at The Martello Tower, Seaford and 10:30am at Denton Corner, Newhaven. Ride Leader(s) and Assistant(s): Gray, Kirstie & Michelle. Our first Health Ride of the season takes us over to Newhaven West Beach. We will start at The Martello Tower, Seaford. Following Seaford promenade and cycle path along Marine Parade to the OET (Ouse estuary trail) to Newhaven then onto the West Harbour and a short rest / refreshments break. Our return will retrace our steps via the OET then continue along Marine Parade and Seaford promenade back to the Martello Tower. This ride is a mixture of Cycle path and a small quiet road section. Perfect for beginners and those of you that want to get back out on your bike this season. Suitable for all bike types. 1:00pm at The Big Park, Peacehaven. This Health ride takes us up to Telscombe Tye. Following the cycle path out of big park up to Pelham Rise, we will take a small road section to join the bridleway off of Telscombe Road. Here we take the gravel bridleway up to Telscombe Tye where we will take a grass section down to the A259 crossing by the Smugglers Rest Public House. We will then join the grass/path section that runs along the cliff until we reach The Highway, where we will cross back over the A259 taking the cycle path back to Arundel Road and back into the Big Park for refreshments. Perfect for beginners and those of you that want to get back out on your bike this season. Suitable for MTB/Hybrid bikes with knobbly tires (don’t forget we have bikes you can use if you don’t have a suitable one). This ride will be at the pace of the slowest rider and there will be regular stops. For subsequent rides, please complete our Ride Attendance Form. 1.30pm at The Big Park, Peacehaven. For this ride, we’ll take the cycle path to the A259 crossing at the bottom of The Highway, we head up the track in our own time until we reach Charleston Avenue. We then drop down the grassy path until we reach Newhaven Heights and Court Farm Road, where we will have a small road section to join the cycle path along the harbour, passing the lifeboat station and towards Newhaven swing bridge. Continuing onto the cycle path towards Elphick Road, we then turn right at the Jolly Boatman Public House and take the bridleway towards Piddinghoe Village. We will then take a small section of road to join Valley Road (a private road we have access to). This brings us back onto Telscombe Road where we will drop back into the Big Park, Peacehaven for refreshments. Perfect for beginners and those of you that want to get back out on your bike this season. We’ll begin with a small road section towards Firle Road, where we join the ‘concrete road’ just before Blachington golf course. We will follow the route up to Bo-Peep, where we’ll turn left and head for the Firle masts. Once at the mast’s we will drop down, taking the left fork and head for Poverty Bottom / Cantercrow Hill. We’ll take a left round the back of Denton, dropping down Palmerston Road / Mount Road to Denton Corner to pick up the Ouse Estuary Trail back to Seaford. We will then take the path to the Martello Tower for refreshments. A little longer than our previous health rides as today we are reaching the South Downs. This Health ride takes us up to Telscombe Tye. Following the cycle path out of big park up to Pelham Rise where we will take a small road section to join the bridleway off of Telscombe Road. Here we take the gravel bridleway up to Telscombe Tye where we will take a grass section down to the A259 crossing by the Smugglers Rest Public House. We will then join the grass/path section that runs along the cliff until we reach The Highway where we will cross back over the A259 taking the cycle path back to Arundel Road and back into the Big Park for refreshments. Perfect for beginners and those of you that want to get back out on your bike this season. 1:00pm at The Martello Tower, Seaford and 1:30pm on the cycle Path next to McDonald’s, Newhaven. Starting at the Martello we take the promenade and join the OET cycle route into Newhaven, picking up additional riders outside McDonald’s. We then head towards Newhaven Station and under the flyover to cross the swing bridge. Continuing onto the cycle path towards Elphick Road, we then turn right at the Jolly Boatman Public House and take the bridleway towards Piddinghoe Village. We will then take a small section of road to join the Egrets way cycle route. Following this route up to Southease, where we will stop for refreshments at the YHA café (where we can gaze up Itford Hill on the South Downs). Once refueled we will return to Seaford taking the same route. We follow the cycle path out of the Big Park up to Pelham Rise, where we will take a small road section to join the bridleway and drop-down Valley Road. We then take a small road section into Piddinghoe Village and bridleway into Newhaven where we will join the cycle path along Newhaven harbour. We pass the RNLI station and head towards Court Farm Road and head up onto the cliff path and onto The Highway and back onto the cycle path into the Big Park for refreshments. These rides are aimed at those riders that wish to go that bit further, that bit faster. 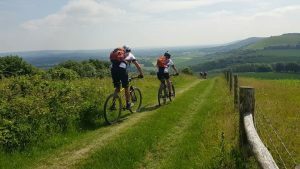 The rides last approximately three hours and can be on bridleways, byways and fields, exploring the South Downs National Park across a mix of terrain that may be rough and rutted, with some steep slopes. 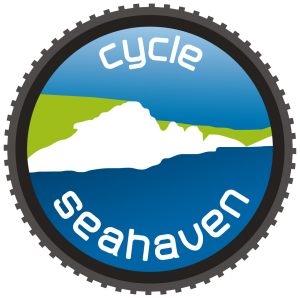 The Rural Rides may be incorporated into a Cycle Seahaven 3B ride. You must register for your initial ride using our online registration form.